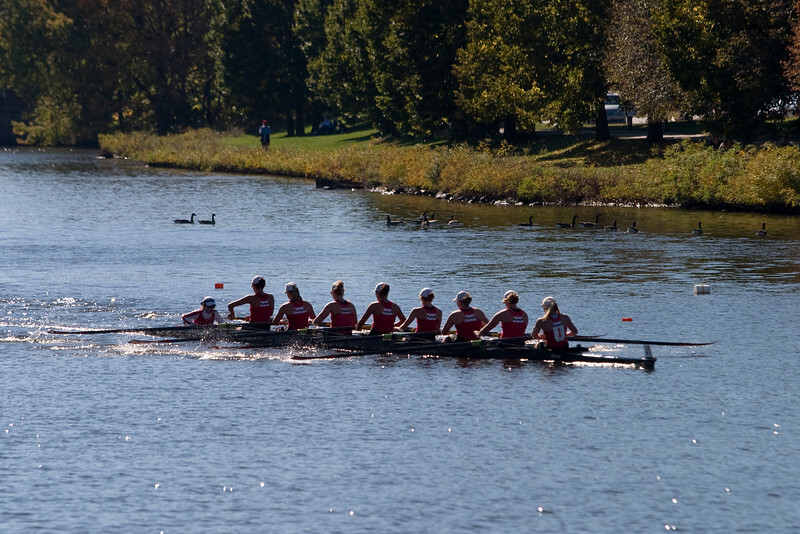 The Head of the Charles Regatta is the world's largest two-day rowing event, and it's quite a sight, with lots of boats on the river, and crowds of spectators lining the banks. Chantal and Isabel volunteered, selling programs and serving the Pasta Dinners. Rowers (and geese) on the Charles.